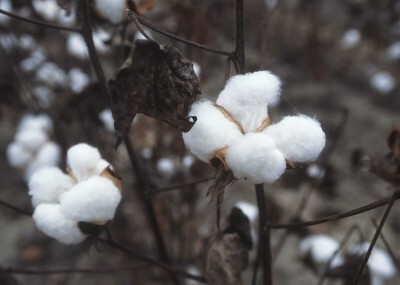 Using physiologically based demographic modelling (PBDM) methods to assess the dynamics of weather and pests on cotton yield, this latest study led by Professor Andrew Gutierrez at University of California, Berkeley  calls into question the relevancy of Bt cotton, considering that the main target of the Bt cotton, the pink bollworm, only attacks irrigated but not rain-fed cotton. The PBDM method, unlike previous studies that focus on econometric analysis of Bt cotton yields, looks at the holistic biological and ecological underpinnings of crop yield. Using it to simulate prospective yields of rain-fed non-Bt cotton from 1980 to 2010 and its relationship to pink bollworm dynamics, the model provides a historical baseline measurement of the Indian cotton situation prior to the 1970s green revolution, where pink bollworm was the major pest of Indian cotton. Since the 1970s, insecticide technology has led to ecological destruction including outbreaks of formerly secondary pests, insecticide resistance and damage to human health. This was followed by Bt technology that has also had negative effects on Indian cotton agriculture. Inputting parameters on cotton growth from field experiments in India, the researchers estimated the daily effects of water stress on cotton phenology, growth and yield formation, predicting the daily growth dynamic of leaves, stems and roots as well as fruit and yield across 4 states (Maharashtra, Karnataka, Gujarat and Andhra Padresh) where most of the suicides are occurring. The model was then run using daily weather conditions (from the Climate Forecast System Re-analysis of the United States for Environmental Prediction). Pink bollworm dynamics were modelled by capturing the phenology of dormancy induction as regulated by increased temperature and photoperiod, and spring emergence from diapause as a function of temperature. Instead, the timing, distribution and quantity of monsoon rains is the main determinant of yield; as well as other factors such as planting density and mean daily temperature. As shown in Figure 2, rainfall in Yaratval, Maharashtra correlates with yield. These results led the authors to conclude that in low yield areas with high variability, Bt cotton does not provide assurances for yield of rain-fed cotton. And, short season non-Bt cotton is a viable option for both irrigated and rain-fed areas. Bt crops were introduced to India in 2002 and by 2012 there were more than 1128 Bt hybrid varieties grown on 92 % of cotton growing areas [3, 4]. They are promoted on the basis of reducing pesticide use but despite initial declines, insecticide use in 2013 reached 2000 levels while yields have plateaued nationally and farmer suicides increased in some areas . Industry has also promoted the use of insecticides and farmers, in order to avoid crop failure, likely applied increasing quantities of pesticides that do not boost yields but may instead increase ecological disruption and risk of crop failure. Industry has exploited this information gap to sell their Bt crops and insecticides. With the sustained use of insecticides added on to the costs of expensive Bt cotton seeds, farmers have been pushed into further economic distress. Computing the average profits per hectare in rain-fed cotton (revenues from sale of seed cotton minus average costs of seed, insecticide and other production costs) the study highlights the drastic increases in costs now faced by farmers (see Figure 3). Prior to hybrid varieties, costs were nil to low (0-9 rupees per kg), but as fertile local varieties became unavailable, farmers increasingly bought F1 hybrid seeds that for Bt varieties cost an average 2111 rupees per kg. The average yields in the 4 states studied ranged from 300 – 1 200 kg per hectare, with low yields in Andhra Pradesh and Karnataka, and roughly half of the total area studied across the four states averaging less than 5 000 kg of lint cotton per hectare. Production costs rise from 8 % of total revenues for those averaging yields of 1 320 kg ha-1 to 21.1 % for those averaging 500 kg ha-1, resulting in a net daily income of less than 2 US dollars a day. For farmers getting only 300 kg ha-1, production costs increase to 42.2 % of total revenues, resulting in only 1 dollar a day of net income. Costs as a proportion of revenue decrease exponentially with yield. These data show that low yields and high variability are substantial sources of risk, exacerbated by the high costs of Bt cotton seed and continued use of insecticide. This study disputes many previous studies that have claimed increased yields as a result of Bt cotton. Bt cotton is not a yield enhancing technology, but is instead designed to protect the yield potential of the crop from damage by some lepidopteran pests like the pink bollworm. These studies fail to take into account the fact that government subsidies for fertiliser during 2003-2011 increased approximately 5-fold, that data from irrigated and rain-fed cotton were conflated in the average, and that agronomic practices were improving e.g. planting densities. Further, there has been an upwards trend in national yields from 1975-2007. Studies supporting these claims attribute rises in yield from 2004 to Bt cotton, as in  for example. However, as shown in this latest study, adoption of Bt cotton was only 8 % in 2004 while in 2005 it was 46 %, but the post-2004 yield data appear to be on the same upwards trend as before Bt cotton introduction. Previous studies in environments ecologically disrupted by the insecticide technologies of the 1970s green revolution have also often been used as the control to which Bt cotton has been compared. Studies in ecologically disturbed environments tend to be limited to isolated small plots instead of in a larger landscape and historical framework. They are known to bias results against untreated checks, inputs such as fertilizer and water are often not controlled, and industry data have been used to predict unrealistic estimates of potential yield [7-9]. Critiques of such studies have found that other factors explain the purported yield increases attributed to Bt cotton, including “placement bias” of irrigation and “good growing conditions” . The colonisation of India’s cotton originates long before the Green revolution and the introduction of GM crops by large multinationals. India was once the global capital of textiles, and had been growing diploid native “Desi” cotton for 5 000 years without synthetic inputs. During this time cotton was a target of strong selection and adaptation by Indian farmers. It was not until the British colonisation of India however that the practices of cotton cultivation were dramatically altered as Britain drew on cotton as a raw material to fuel the first half of its industrial revolution. From 1790, new world cottons were introduced, and later, during the 1970s green revolution, F1 hybrid varieties that required a high input of insecticide and fertilisers. Ecological disruption followed due to the destruction of natural pest enemies, which ended in the resurgence of the pink bollworm, as well as outbreaks of new secondary pests, and insecticide resistance. On top of all that, the chemicals affected the health of both people and the environment [11-13]. As a result, India saw its peak pesticide use in the 1990s, reaching 75 000 tons of active ingredient, 80 % of which were insecticides, with 40-50 % of the total applied to cotton . Outbreaks of previously minor pests such as polyphagous bollworm, whitefly and others as a result of organophosphate and pyrethroids became more damaging than the pink bollworm. Insecticide resistance also became a problem, with the defoliatorS. litura in the 1980s. (7) The uncertain effects of weather (e.g., drought or excessive rain as occurred in 2013). Cotton is also a major crop in Burkina Faso, with cotton farmers representing almost one sixth of all rural households in 2006, making it the largest employment group in the country ; 30 % of the GDP comes from the industry, with rural economies largely shaped by seasonal cotton yield and market price. Bt cotton was first commercially grown in 2008 and now accounts for an estimated 73 % of total seed cotton production . This is about to change however, as the cotton private sector decided to start phasing out Bt cotton, reducing its share of cotton production by 20 % in the next 3 years. The Bt cotton has earned a reputation for poor quality due to shorter fibre lengths and poor yields. These problems on top of increased costs of Bt seeds, as seen in India are exacerbating farmer’s impoverishment, driving some farmers to sell their lands . The publication of thorough holistic analysis of the Indian cotton system is important for understanding what is leaving farmers without any hope of sustaining a livelihood for themselves and their families. Alternative systems such as organic farming have already been shown to produce superior yields . Bt cotton, instead of bringing farmers out of debt, is fuelling the problem and should be replaced by other short-season, local and organically grown varieties. A new study directly links the crisis of suicides among Indian farmers to Bt cotton adoption in rain-fed areas, where most of India’s cotton is grown. Many fall into a cycle of debt from the purchase of expensive, commercialised GM seeds and chemical inputs that then fail to yield enough to sustain farmers’ livelihoods (see  Farmer Suicides and Bt Cotton Nightmare Unfolding in India,SiS 45).